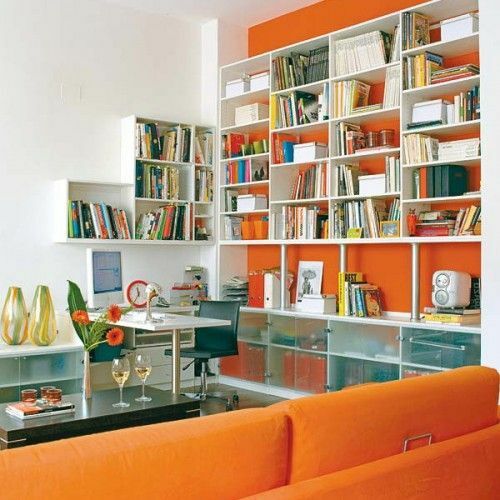 Despite of the size of your living room you need a smart storage to save the space and make the room look wider. 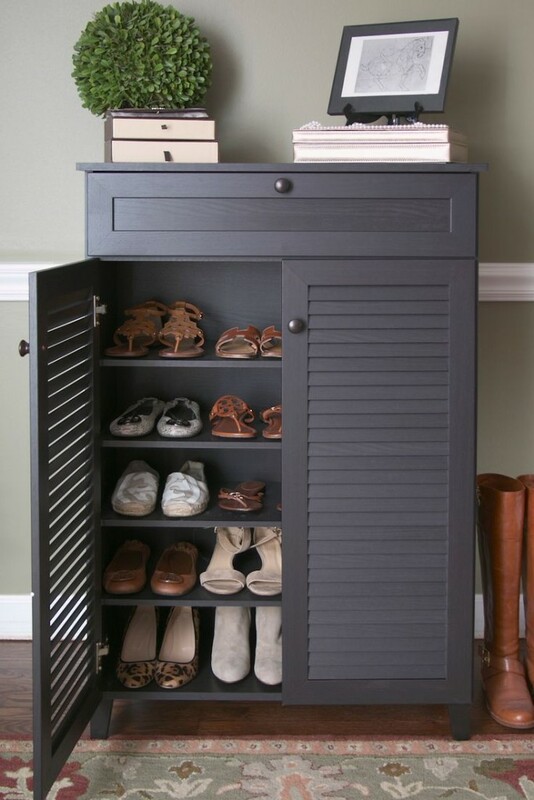 There are so many ways to organize a clever storage that you can choose a way for any style and any colors. 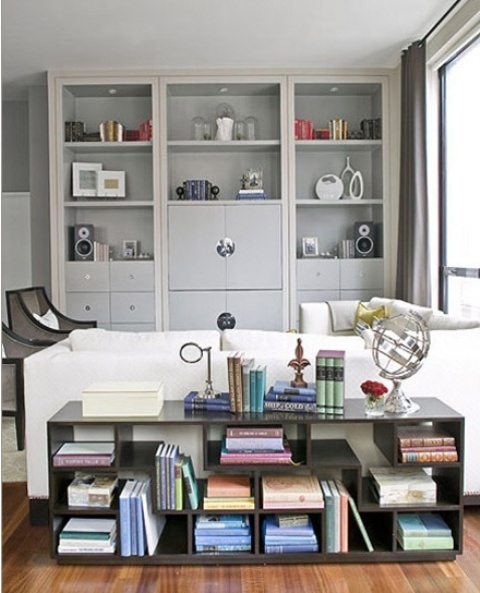 A traditional bookcase or open shelves are ideal for any interior and, by the way, make the space airy and light. 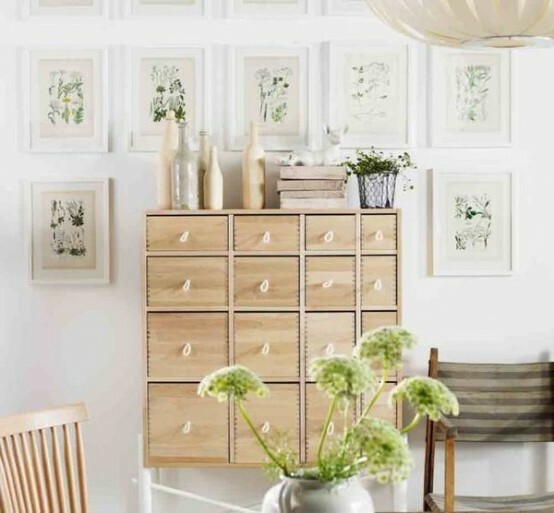 Different dressers, sideboards and baskets are up to you and your interior – they can be of different styles, materials and designs but they are irreplaceable when the question is about storage. Of course, you can find various smart and functional furniture pieces like tables, ottomans, benches with hidden storage – choose what suits you! BILLY units are another type of products from IKEA that could easily be customized to meet your individual needs and loos unique. 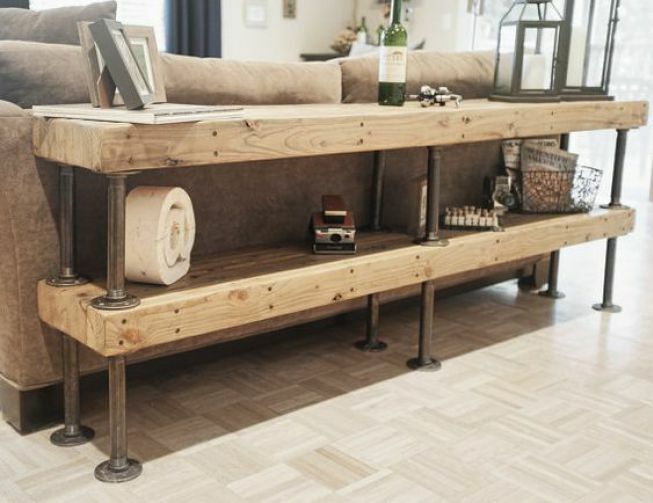 DIY shelving made of rustic wood boards and pipes is a simple solution to add some display surface and some style to any space. 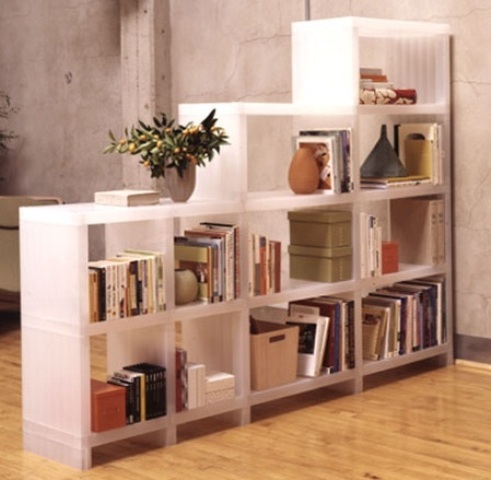 Corner shelves is a smart small space solution because corners are usually useless. 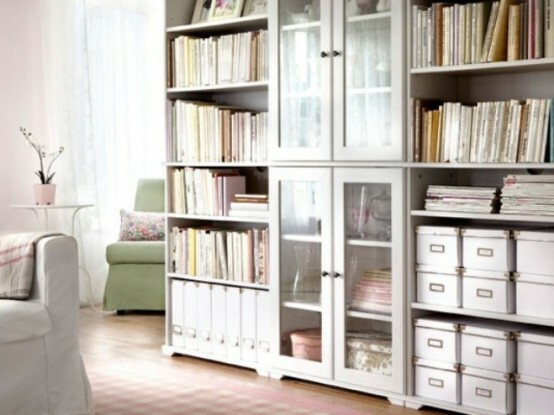 Even such untraditional things as dressers could be used in the living room for storage. 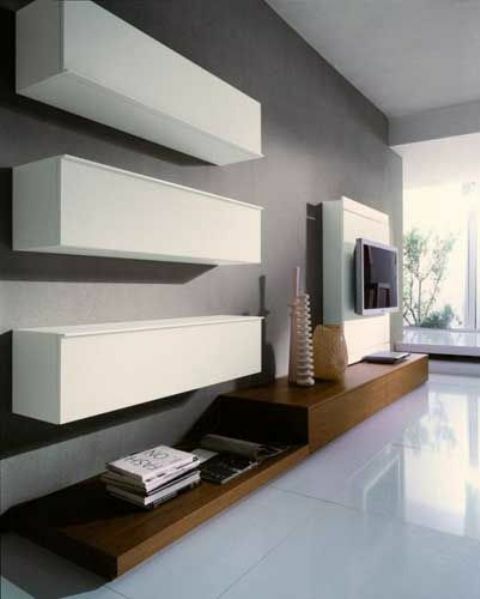 Niches are perfect for organized built-in storage solutions. 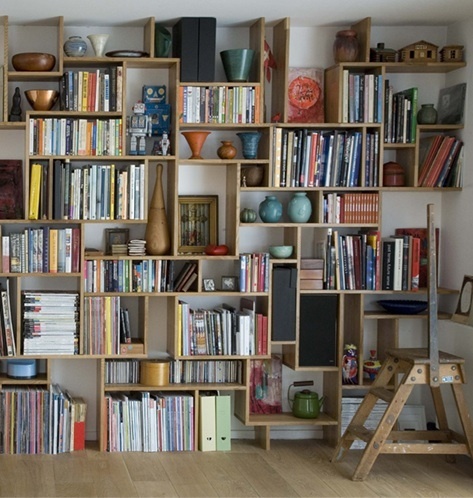 Even simple shelves looks great there. Pack three functions in one with a storage ottoman. He can provide a place to sit, a leg rest area and you can stuff lots of stuff inside. 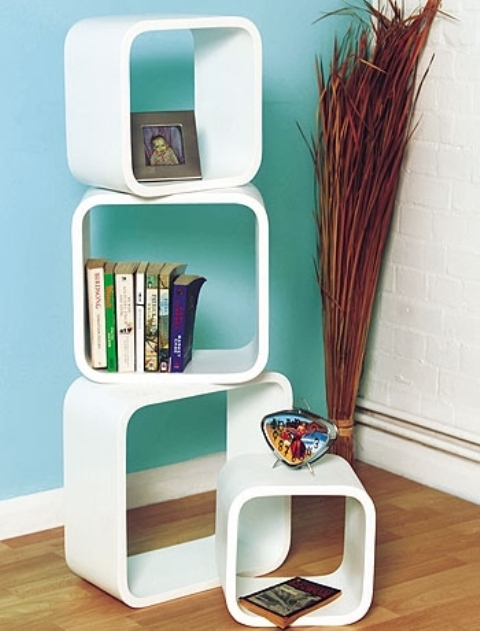 Nesting tables is a quite practical solution for small rooms. They usually come in sets of two or three, stack together, but can be pulled out to provide lots of tabletop surface when necessary. 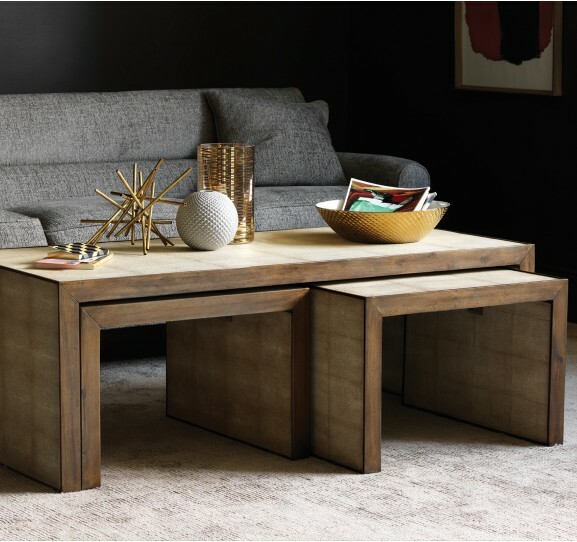 For extra tabletop surface without losing lots of floor space choose nesting tables. Sometimes, such sturdy tables could be used as additional seating surface too. 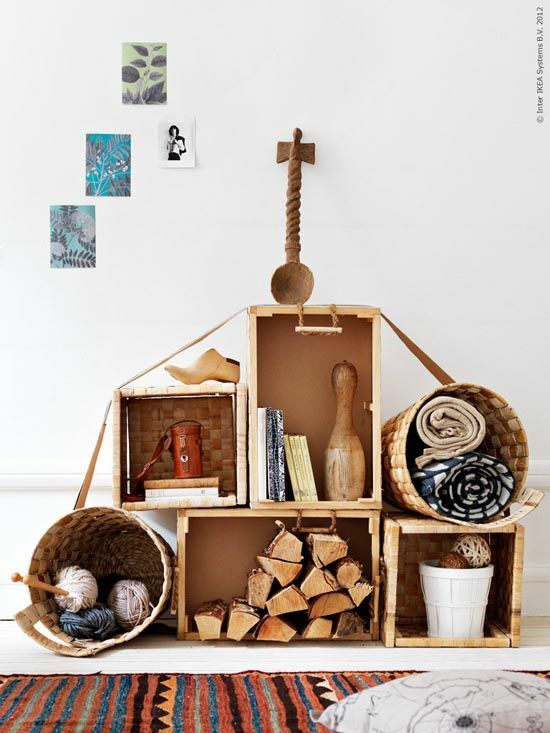 Crates are perfect to create rough-looking, rustic, modular storage systems. Besides, you can quickly modify these systems depending on your needs. 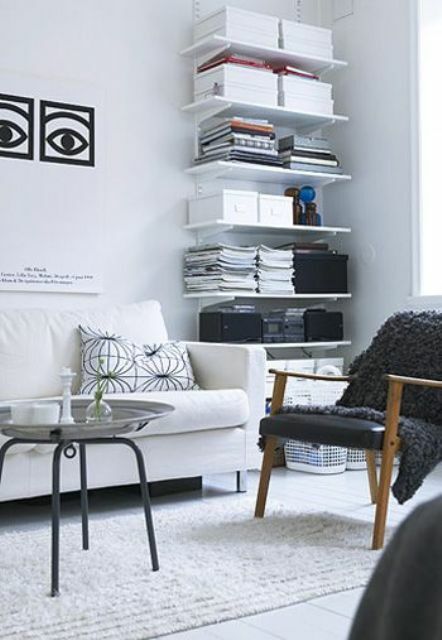 IKEA Lack are probably the cheapest floating shelves you could hang in your living room. They come in different sizes and are perfect to display your books and other treasures. 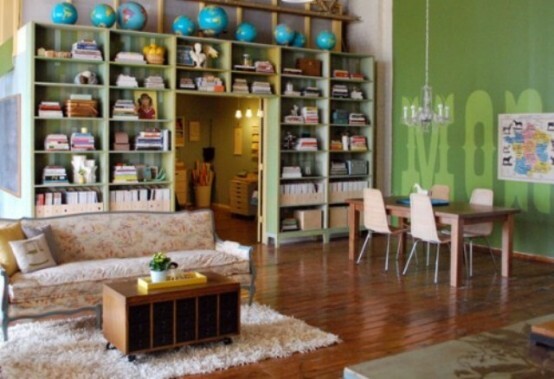 Several bookcases could become your tiny yet functional home office right in the living room. 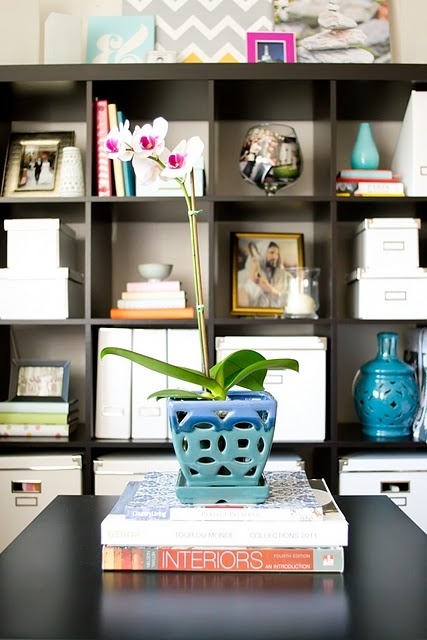 A small desk combined with open and closed storage space are really versatile. 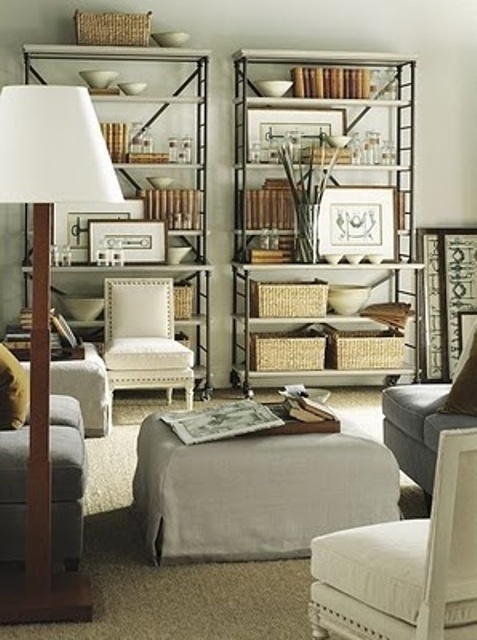 Matching bookcases not only provide lots of space for books, baskets and some flea market finds but also give your living architectural presence. Cabinets around the sofa is a smart way to use the space if you have an open-plan living room. Built-ins is a perfect way to use the space around windows. 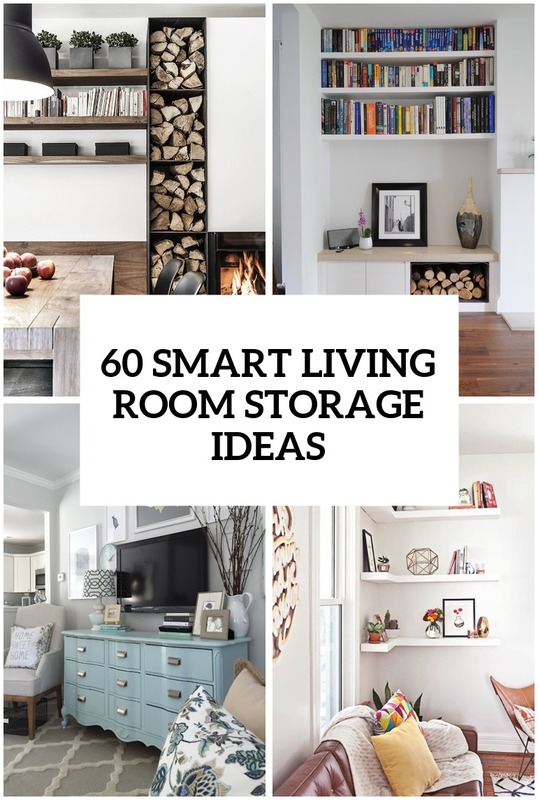 You'll get lots of storage and display space that otherwise would be lost.to give your living room architectural presence as well as an organized appearance. 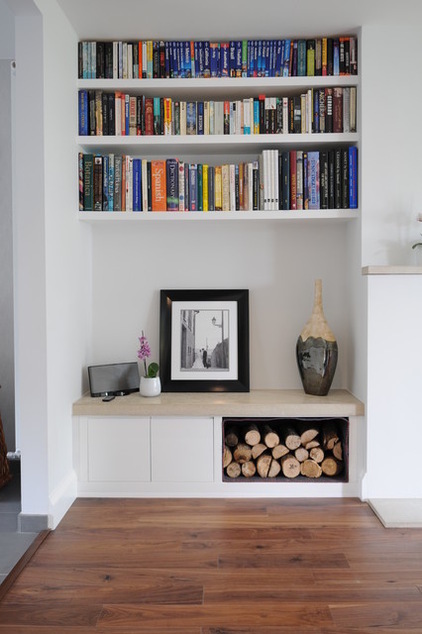 Frame a doorway with shelves, or consider cabinetry around a fireplace. Any family room needs lots of storage for the stuff of all family members. Built-ins is the most effective choice. 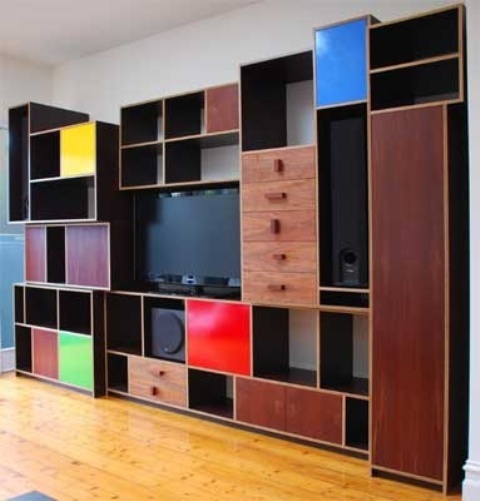 Here is a cool idea to enhance wall-mount TV's look. 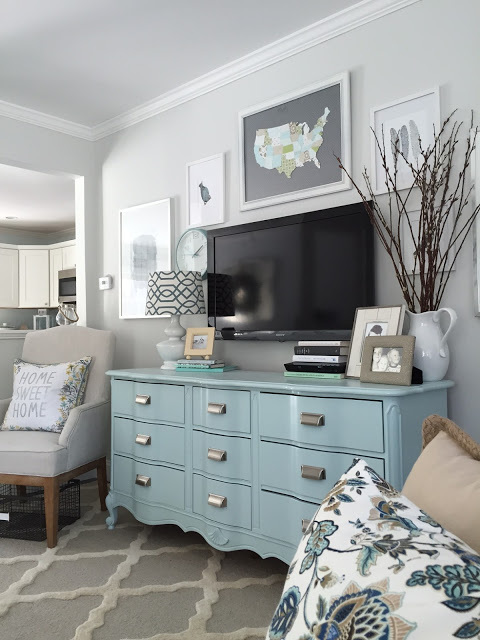 Frame it in bold mouldings to help it looks more harmonious with surroundings. DIY shadow boxes are enclosed cases that are usually used to display things. The grouping of shadow boxes is a quite versatile storage solution that provides an amazing depth effect to your interior. Choose a tiered coffee table. While the surface of any table offers plenty of function, but you can get much more from it. 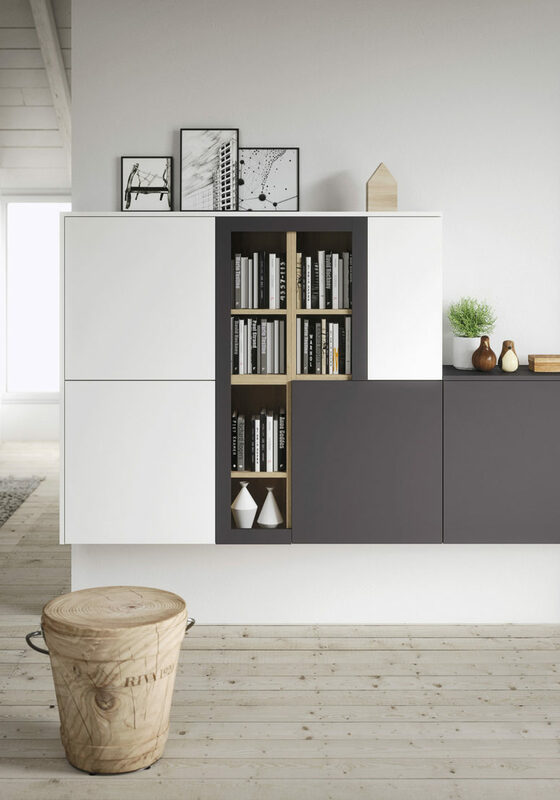 You'll be able to store some books and magazines on hand. 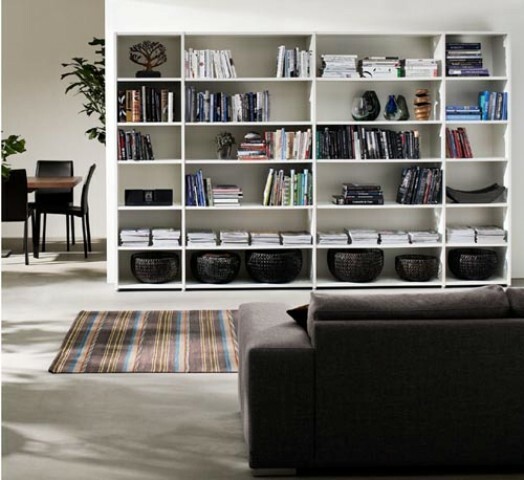 Stylish free-standing shelves might not be as effective for storage as large bookcases but they can make your living room looks less boring and more cool. 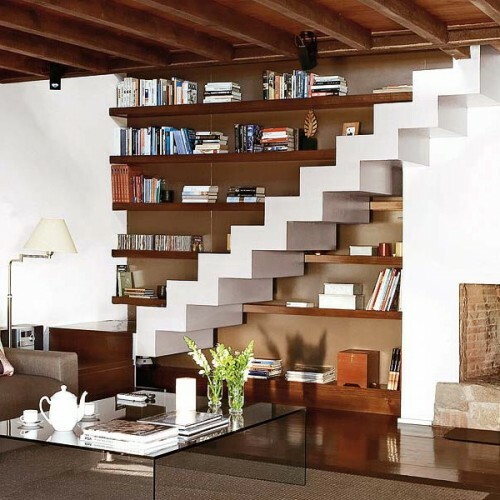 Your staircase could act as a bookcase if the space is at a premium. 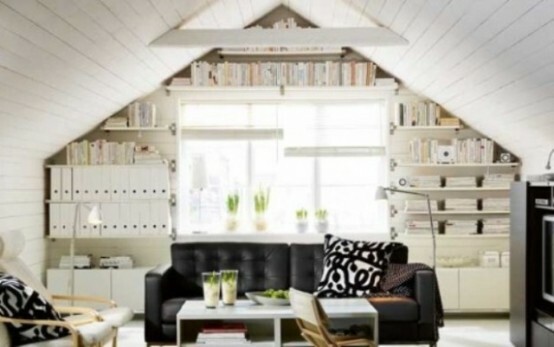 Invest in built-ins to give your living room an organized appearance. Frame a doorway with shelves, cuz otherwise this space would be lost. Use all space available. 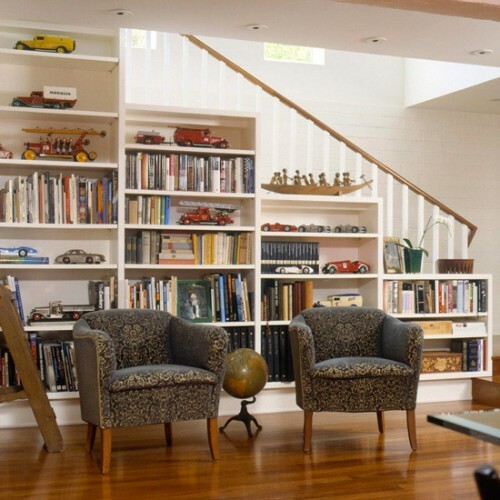 Storage under stairs is always a practical solution. 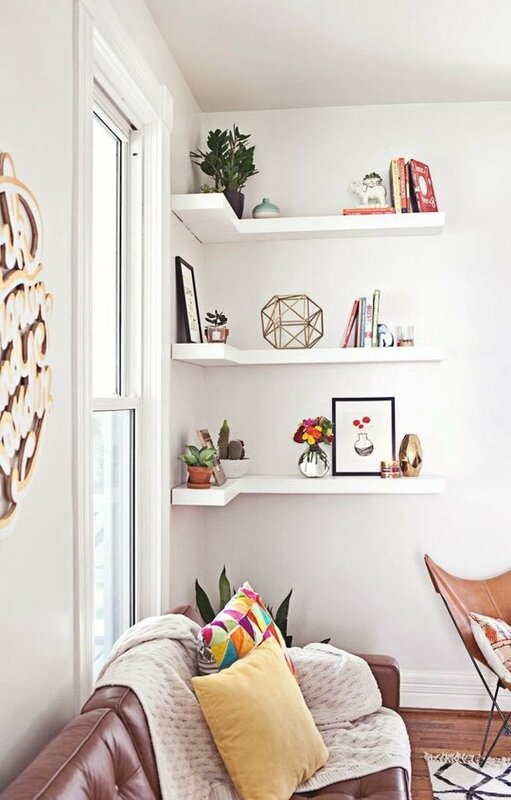 Even simple wall-mount shelves could provide lots of storage space. Just make sure to organize them well with different boxes. Otherwise they will look messy. 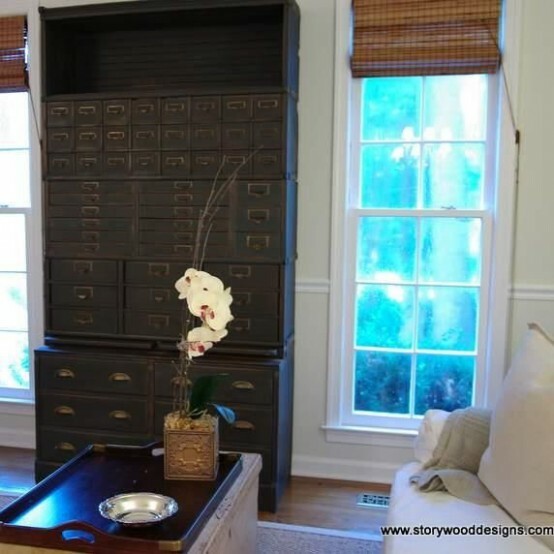 Vintage chests of drawers, cabinets and armories are cool storage additions for living rooms that provide plenty of concealed storage for organizing necessities. 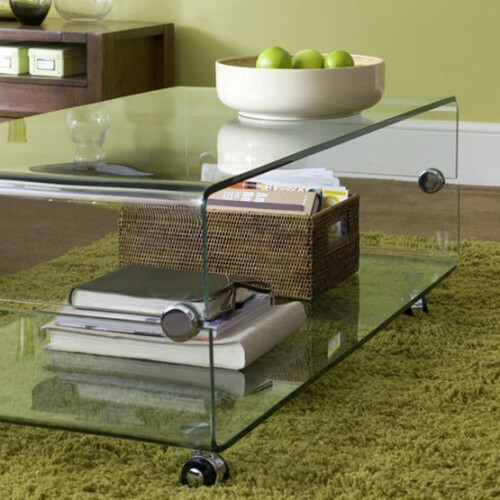 Casters are great additions to a console unit if you want to change the layout of your living room often. 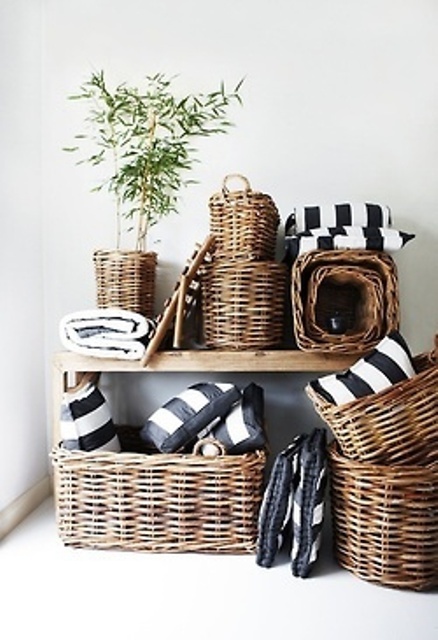 Baskets basically become drawers when tucked inside small bookshelves. 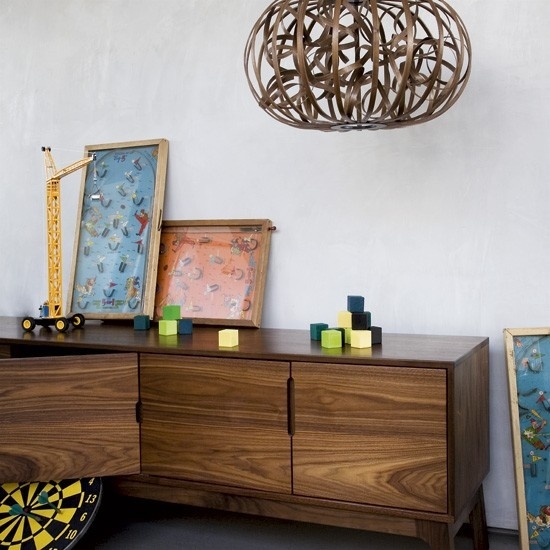 Hide away your living room stuff in a stylish sideboard. It's top could also be used to display some art. 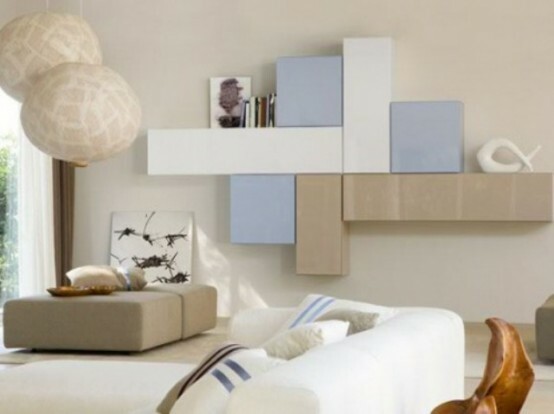 A wall-mounted chest of drawers won't occupy much space but would provide lots of concealed storage space. Lots of stuff could fit in such storage unit. 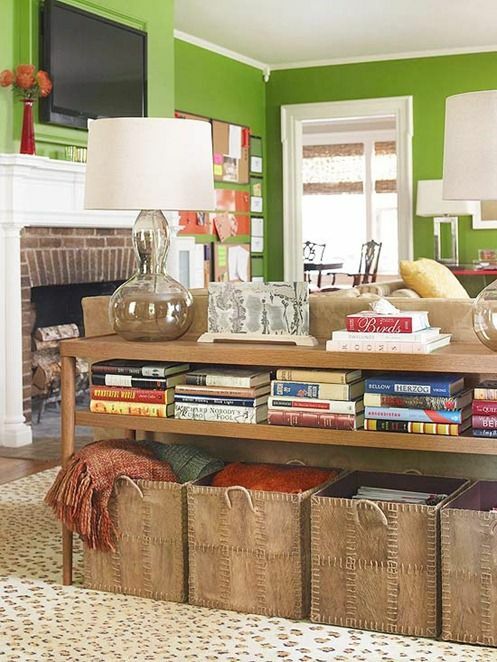 A console table adds storage and makes the living room looks more interesting. 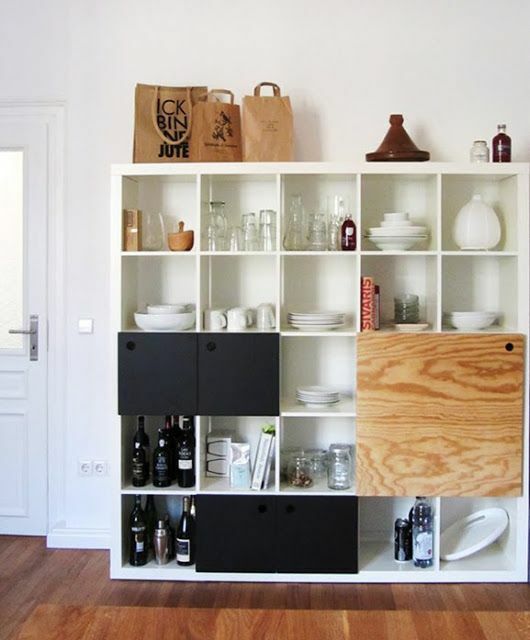 Boxes, baskets or bins are perfect organizers for such storage solution. IKEA's Kallax are quite versatile storage units. There are really many ideas and hacks to make them looks great. A small, low unit underneath your TV is a must nowadays. You can store all your media equipment in it. 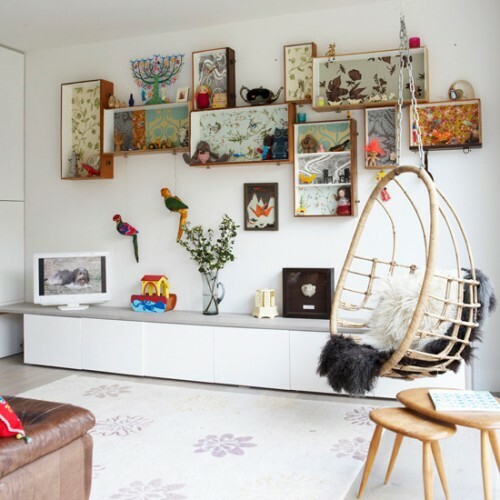 Add some floating shelves and units to create an open-plan look and get some additional storage and display space. 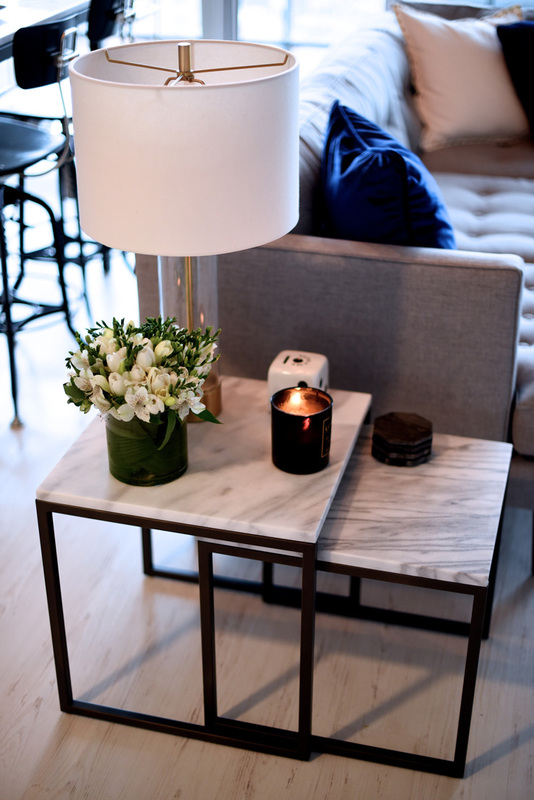 If you have an open plan living room then console table is a must. Position it right behind the sofa that is usually in the middle of the room. You'll be able to display books, magazines, and some cool travel finds. Besides, you'll be able to use its surface for placing drinks. 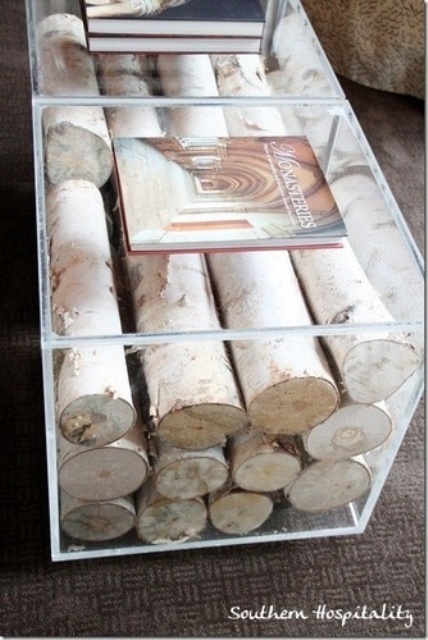 In case you don't want to use a tiered coffee table to store such things as books and magazines here is a nice decor idea for you. Put some wood logs in it. Even if there is no fireplace in your living room and you don't need to store firewood such table would add a cozy touch to the room's decor. Use non-traditional furniture to spice things up. 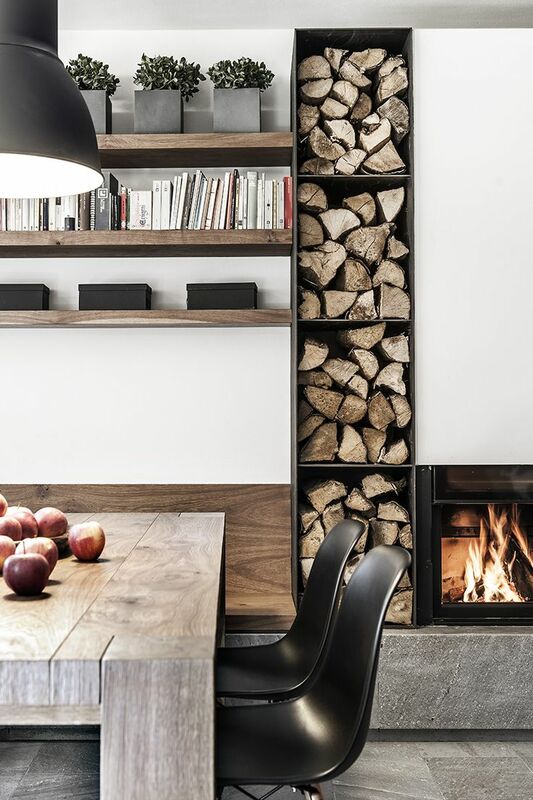 Displaying firewood might add an natural-looking touch to your decor so don't try to hide it all away. Use baskets whenever it's possible. They provide a stylish way to hide your mess. 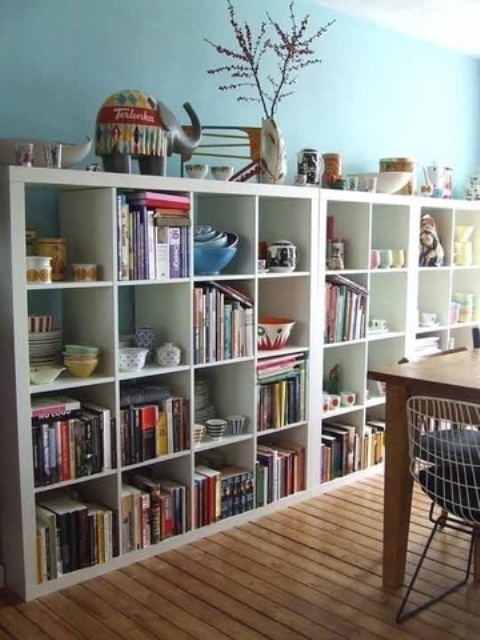 Here is one more example of how plain IKEA KALLAX shelf unit could look if you organize it well and put some cool stuff on a display. 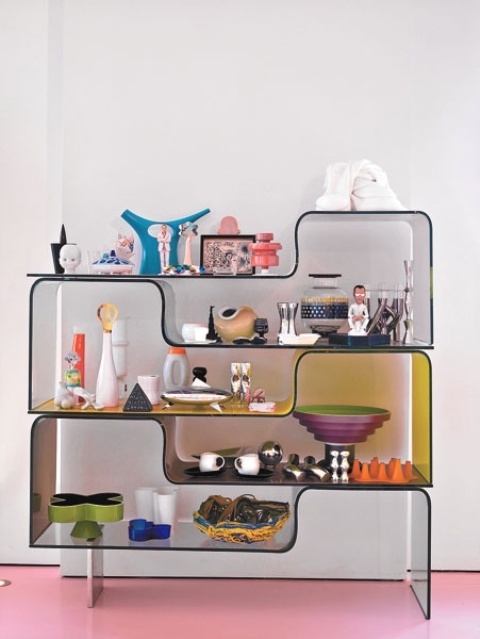 Floor to ceiling shelf units aren't that practical in terms of storage but provide lots of surface to display things. 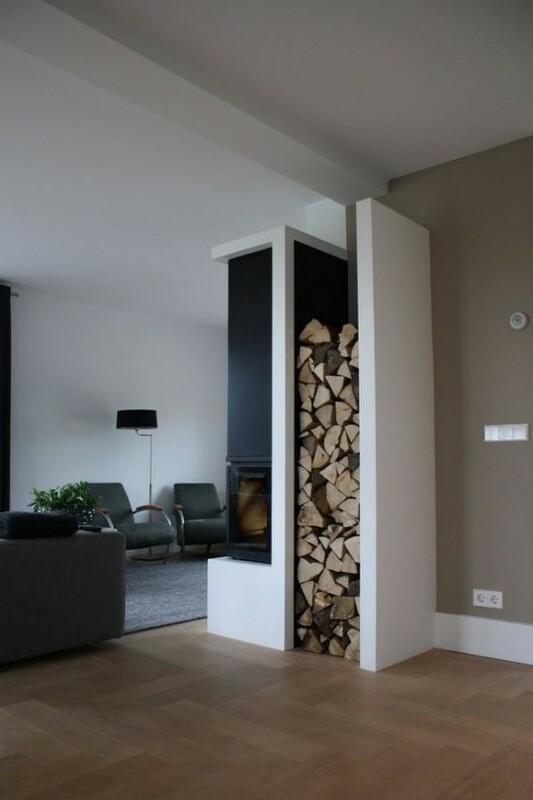 If there is no fireplace in your living room then think about free-standing storage units. 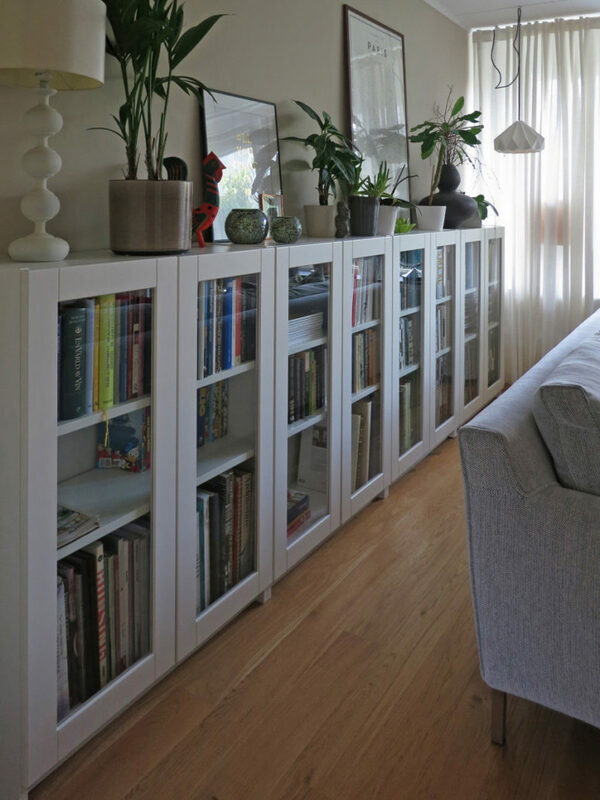 There is definitely lots of wall space and these units looks stylish and add interest with things you display on their open shelves.